We're continuing our series, reaching out to Realtors who specialize in mid-century properties. 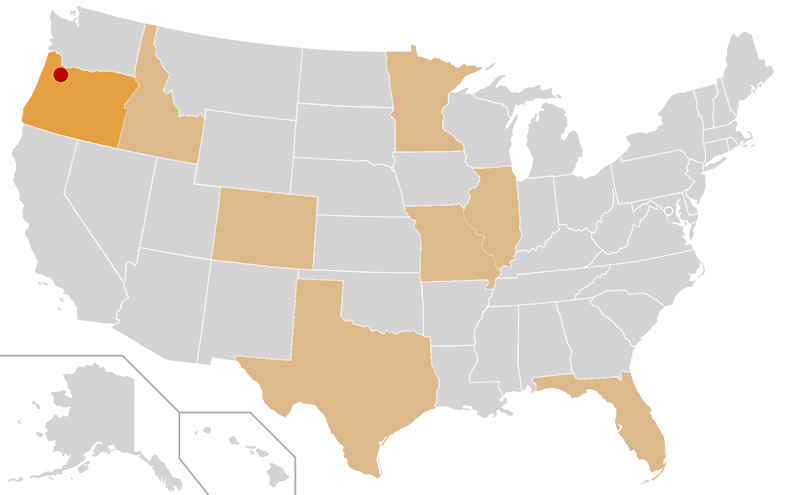 We'll be asking questions of Realtors across the United States to see what's the same or different in various part of the country. Today we're in Portland, Oregon speaking with Marisa Swenson of Living Room Realty. 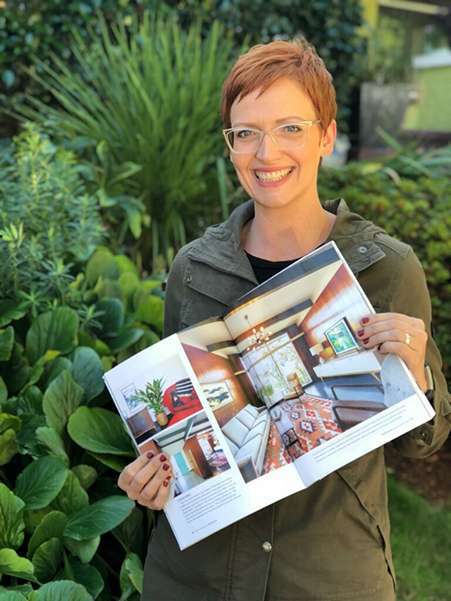 I am Marisa Swenson, the face behind the Modern Homes Portland brand and my brokerage is Living Room Realty. I have been a Realtor for 10 years. Since the very beginning of my career, I chose to focus on modern/contemporary/mid-century architecture. I started focusing on mid-century shortly after getting into real estate; so around 9 of the 10 years. Right after I got my license the Great Recession hit, and to stay positive and excited, I started a blog talking about things that I liked in homes that I toured. My favorite style of homes being mid-century atomic ranches, so I wrote about them frequently and the community (who is also very excited and interested in this style of home) engaged to the point that it made sense for me to focus my attention to it full time. Personally being an enthusiast, it was challenging to find information on architects and neighborhoods so I decided to focus on providing that type of information through my website as I was discovering it. I feature all of the modern listings in one place regardless of if they are my listings or not. Only residential at the moment. Mid-century modern homes are hot, hot, hot and they usually sell in days with multiple offers if they are dialed-in. Mid-century ranches are very popular also. The desire for mid-century homes is still growing here; they are very popular. I see that homes which have original details intact are frequently more desirable and architecturally designed mid-century homes command top dollar. I think the values will grow as long as these homes are well maintained and somewhat preserved, not necessarily time capsuled (although we love a good time capsule!) but keeping the original vision for the space. The Northwest Regional Style or Northwest Modern (late 1930's-1960's) was inspired by the International Style of architecture but used local, regional materials and designs that consider the wet climate and site orientation. Think century-barn meets walls of windows with modern interiors. These homes were usually custom and are very desirable in our market. The range is all across the board depending on location so $300k -$1M plus. People in the 30-65 age range and who are usually designers, artists, architects. If I was approached by someone with that agenda, I would have a conversation and if I couldn't change their mind, I would probably not work with them. If they looked at my website they would see that I am involved with the local preservation groups so they would probably never come my way in the first place. My first reaction is my heart sinking into my stomach especially if I know they have taken out really cool mid-century finishes. The investors usually are the biggest offenders, so I wish they would use designers who "get it" and they could still update keeping the period in mind and probably make more money. I feel a deep connection to this style of architecture since most of the buildings that I spent many of my formative years in (schools, churches, doctors offices) were mid-century and unique designs, they were as fascinating to me then as they still are today. 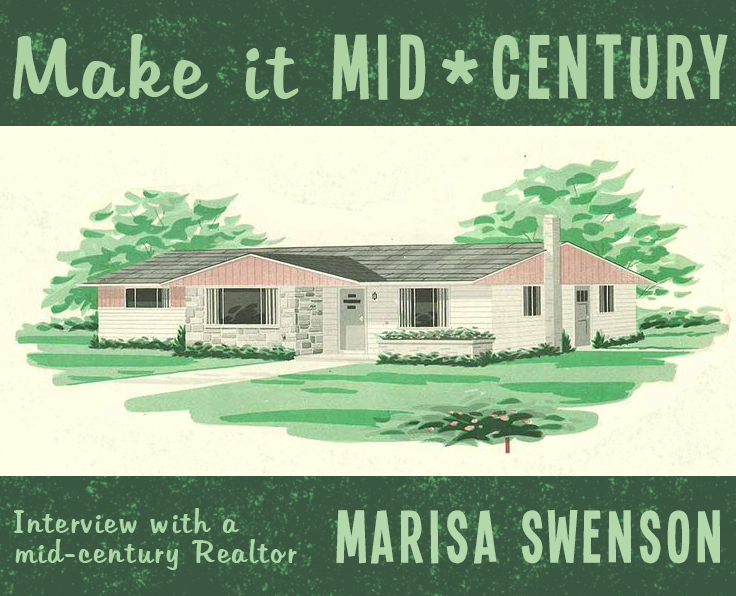 Many thanks to Marisa Sweson from Living Room Realty for willing to be interviewed (and for waiting for our website to be back up for us to publish her words!) In the Pacific Northwest and interested in working with Marisa? You can find her on her website, Modern Homes Portland. Check out this cute photo of Marisa holding her issue of Atomic Ranch magazine!